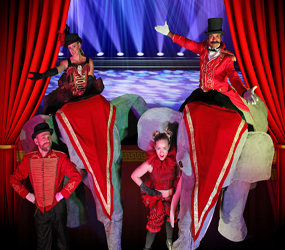 Prepare to be dazzled by circus themed entertainment that's daring and bold!. 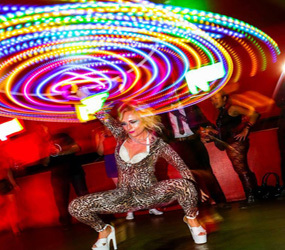 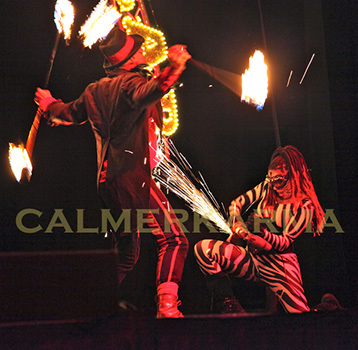 From Daring Acrobatic acts to the Angle Grinding Zebra Fire Show to the freaky bearded lady. 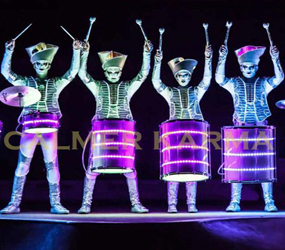 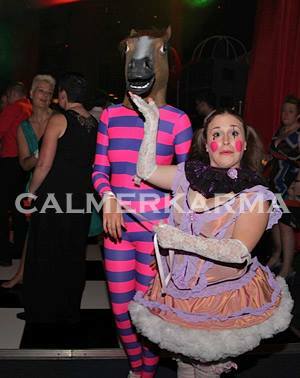 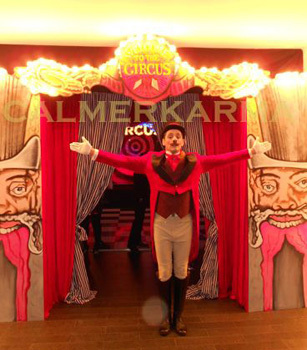 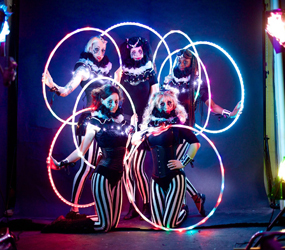 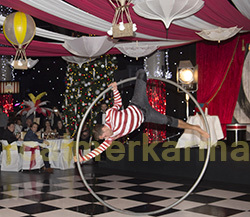 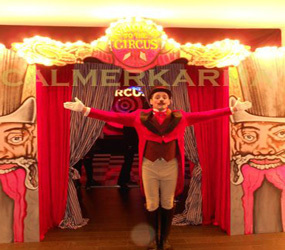 We can create a circus themed entertainment extravaganza to dazzle your guests. 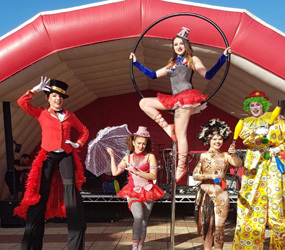 We have created bespoke circus entertainment productions and staged shows for clients from major high street brands to premiere league football clubs - so take a stop inside and call us to see how we can create the perfect circus show for you! 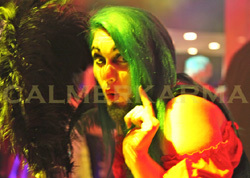 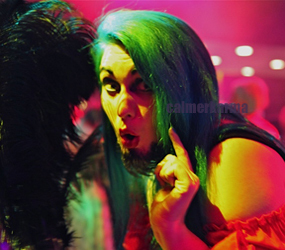 Get that Greatest Showman feel for your event with our mysterious Bearded Lady who loves to join your on your selfies! 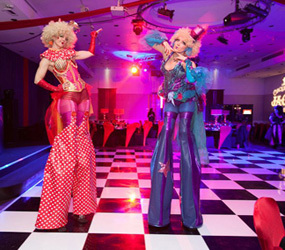 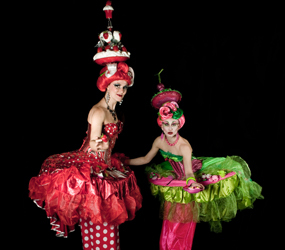 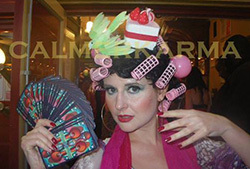 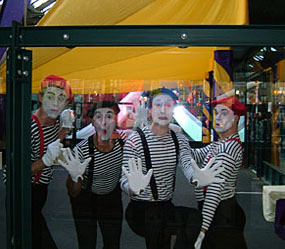 Great fun mix and mingle act or to greet your guests as they arrive for any circus themed event ! 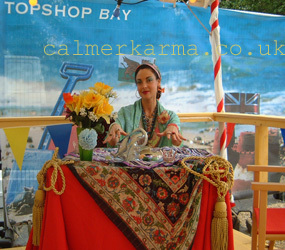 Not happy with just lying on the bed of nails; this charismatic performer invites people to STAND ON him while hes lay on the bed of nails. 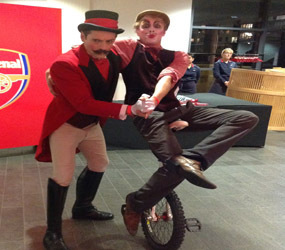 Not for the feint hearted, addictive car crash entertainment - this act is a talking point for weeks to come! 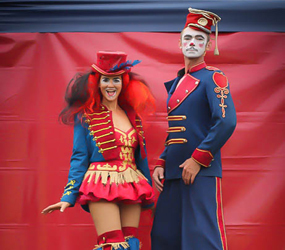 Our gorgeous circus themed dwarves are a fabulous addition to any event -ready costumed with a Victorian Twist they make the perfect wow factor choice for any Greatest Showman themed event and complement our Barnum Bananas ringmaster perfectly for greeting guests! 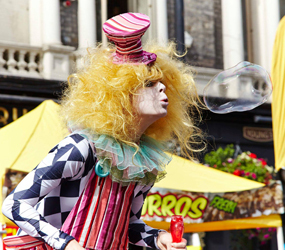 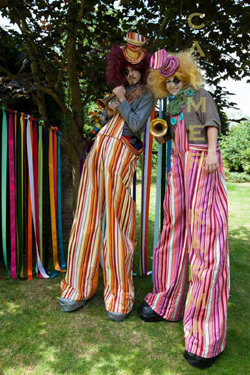 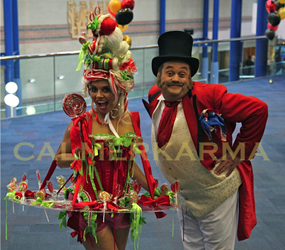 This fun duo of Clown Stilt walkers are perfect for Festival or circus themed events with their fun trumpets - also avaialble as balloon modellers or can blow giant bubbles ! 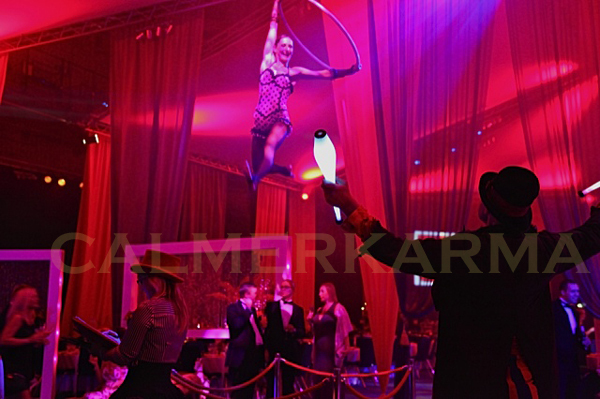 Dramatic high flying acrobatic acts for those jaw dropping moments for circus and cirque themed events. 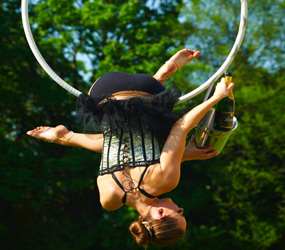 We have the best acrobats in the uk and europe on our books from Silks to trapeze to high wire to hoop. 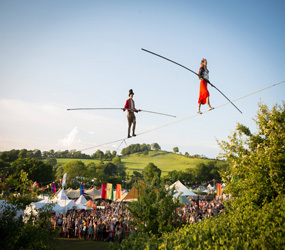 and also fully portable rigs so that you can have dramatic acrobatic acts above your head no mater what the limitations of the venue are! 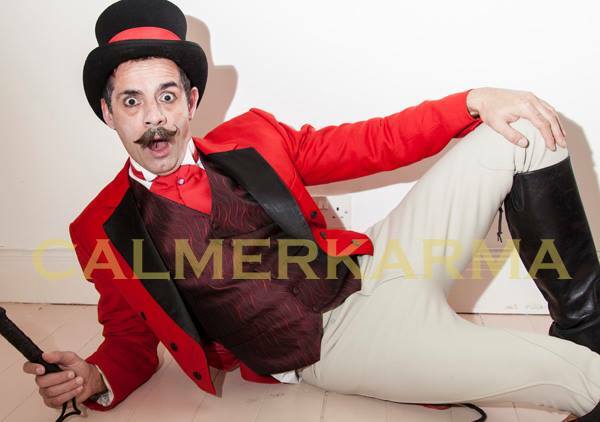 The comical strongman will amaze your guests with his glittery balls! 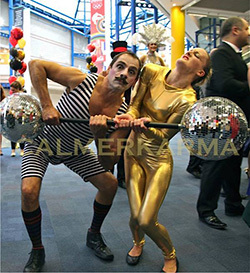 This is an essential circus themed act if you are looking to break the ice on guests arrival - the comical strongman is great teamed with our female dwarf who will show the strongman exactly how its done (as despite his preening and posing she can still beat him in lifting the weights!